House Minority Leader Chuck Hunter (D-Helena), right, speaks with Montana Legislature Chief Legal Counsel Todd Everts about a vote to refer HB623 to committee, effectively killing it. 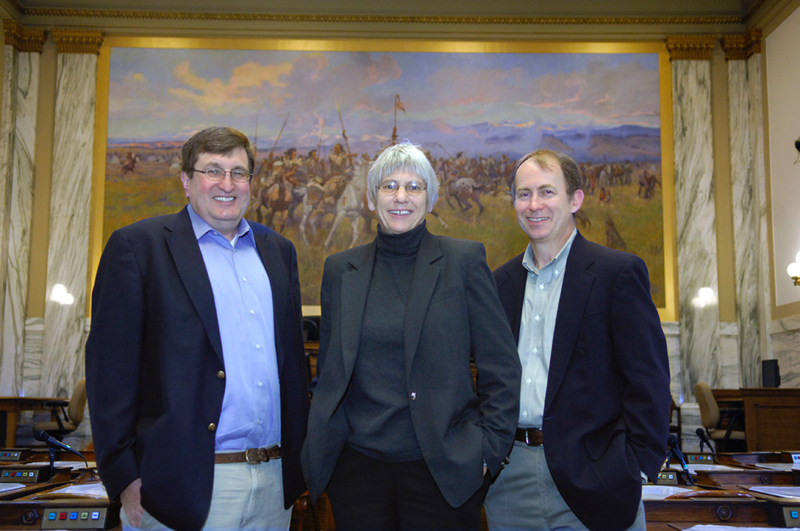 The last plan before state lawmakers to use federal Medicaid funds to expand health insurance to tens of thousands of uninsured Montanans is mostly likely dead after being referred to a committee hostile to the bill in the legislature’s final days. HB623 would have used Medicaid Expansion funds provided to states through the Affordable Care Act (ACA) to allow eligible low-income Montanans to buy private health coverage on the insurance exchanges also set up by ACA. The other, more standard, Medicaid Expansion bills have already been tabled by the legislature. During Friday’s House floor session, House Speaker Mark Blasdel (R-Somers) said he was referring that bill back to the House Health and Human Services Committee. As far as Minority Leader Chuck Hunter (D-Helena) is concerned, that move probably kills the bill. “That is the Committee that was built for the very purpose of saying no to any kind of expansion of Medicaid and that will no doubt be the fate of this bill as well,” he said. Hunter appealed Speaker Blasdel’s decision to move the bill to committee—which takes a majority vote. But when the body took that vote, a few Representatives were confused on what their vote meant, like Great Falls Democrat Tom Jacobson. That would mean a yes vote agreed with Blasdel’s decision to send the bill to committee. The final tally was an even 50 to 50—with Jacobsen’s accidental vote the only Democratic yes. A tie vote in this circumstance went in Blasdel’s favor—sending the bill to the committee. House Members took a break shortly thereafter and leadership discussed options to reconsider that vote. The break lasted over an hour. A majority vote of 51 would have brought the bill back up to the floor—in theory that’s what the original vote would have been if Representative Jacobsen had voted with the Democrats like he intended. But the reconsideration vote failed 48-52. Speaker Blasdel agrees some minds were changed while leadership discussed reconsideration options. 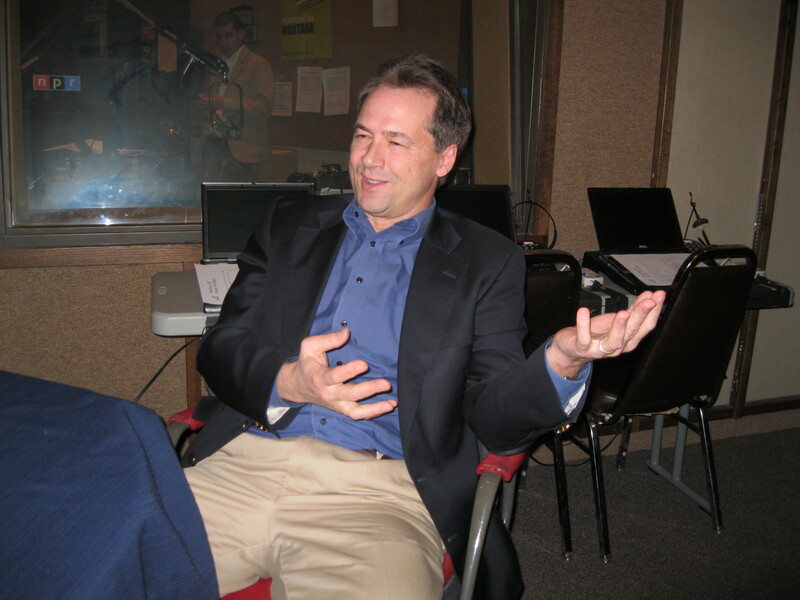 Democratic Governor Steve Bullock strongly advocates Medicaid Expansion—and he was quick to condemn the decision. “These legislators who voted to send our tax dollars out of state are going to have to go home and tell their bosses that they stood in the way of lower health care costs, they stood in the way of good paying jobs and they stood in the way of access to affordable health care for tens of thousands of Montanans who desperately need it,” he said. Great Falls Tribune Capitol Bureau Chief John S. Adams posted the Governor’s full comments. The Legislature is set to wrap up sometime next week. 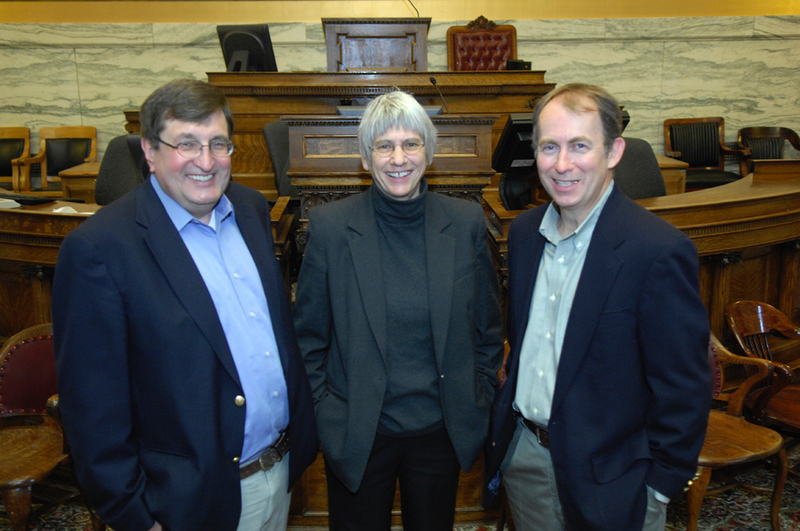 Tonight on “Capitol Talk”, our weekly legislative analysis program, News Director Sally Mauk talks with Lee newspaper reporters Chuck Johnson and Mike Dennison about where all the big-ticket items stand a week before adjournment: the budget, Medicaid expansion, state workers’ pay raises and pensions – and school funding. They also discuss the unlikely hero of the session for gay rights supporters…. 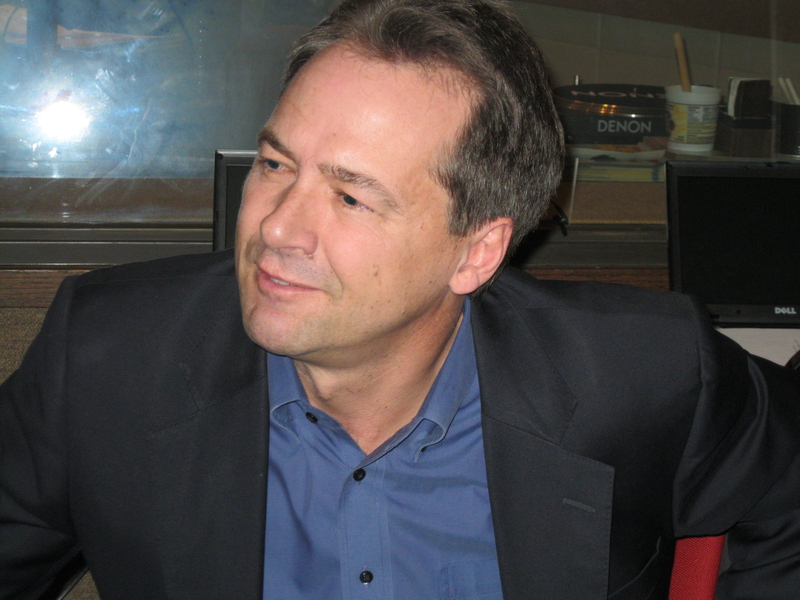 Democratic Governor Steve Bullock is starting his fourth month in office, and navigating a Republican-dominated legislature. In this feature interview, the governor sits down with News Director Sally Mauk to talk about his legislative priorities – from Medicaid expansion to pay raises for state workers. He also discusses how he feels about gay marriage – and universal background checks for gun-buyers. Although the governor’s proposals to expand Medicaid to cover 70,000 low income Montanans have been tabled in both the House and Senate, he thinks the fight for that expansion is far from over.